Added new items to the Easter Surprise Bag and [Event Info] Felice Fete. Added an interface for exchanging Easter Coupons with [Event Info] Felice Fete. Added new items to the Birthday Chest. Added Red Flame (+5% Max HP) Birthstone. We'll use this dialog when we're trying to arrange a Game Arena. It will not automatically show - it is a manual trigger. Disabled earning experience points from NPC Crafting services such as Castle Gear Painting. A 10s dumb will be applied to players who die in PvP. Buffs will now be removed upon entering. This is to prevent players using GM speed buffs. You are still able to buff inside. Defeating escaped Bunnies with weapons and skills will no longer capture them. Players must instead use Bunny Nets given from [Farmer] Asani. You will now go back to the first page when clicking the Next button on the last page. You will now go to the last page when clicking the Previous button on the first page. Edited the colour of the Male Dimple Bonnet of Rebirth from cyan to yellow. Crystal Mask: Item Drop Rate has been increased from 2 to 3. Mercenary's Traveling Backpack: HP has been substituted with Item Drop Rate 2. Raptor Bones Backshield: Dodge Rate has been increased from 10 to 15. When it expires, it will now remove an accessory if you have three equipped. If your Inventory is full when it expires, the accessory which was removed will be placed into your Premium Storage. You are shown a message on the screen if this happens. Edited Item Bags and Chests to no longer require free space in the PAT inventory if a PAT item isn't a possible reward. Edited Ammunition and Herb crates to require free inventory space to open. Edited the requirements of the Dancing Fever achievement. Edited the Birthstone tooltip on Character Creation to always be visible when changing Birthstone. Fixed a calculation bug with experience given from quests for players who are Reborn Level 12 or higher. Fixed a bug where by your Pet Accessories would be given back to you twice (one to your Premium Storage, one to your Inventory) if Reborning your character as of the last update. Fixed a bug where you were able to equip a Pet Accessory into the first or second slot if the Pet Accessory Coupon expired and you had an accessory in the third slot. Fixed a bug where your face and hair choice would be reset to default if you created a character with a name which already exists. Fixed the height of the female Bow, Dual Sword, Gun and Launcher idle and walking animations. Fixed the Dual Sword walking animation having no sound effect. Fixed the height of the Critical visual effect on monsters. Fixed a bug that caused the name of a monster and the attack cursor to not show if the monster was on the left side of the screen. Fixed players not being able to advance Hidden Quest (9). Fixed a bug that could cause the wall barriers inside the Tombs of Sorrows dungeon to not disappear sometimes. Fixed the position and rotation of Gem effects in the Dango Spear weapon. Fixed Castle Gear Painting and Smelting having a chance to fail. Fixed quest objective error with the "Anubis Mystery" quest. Fixed a bug that prevented players restarting the "Anubis Mystery" quest if it was abandoned. Fixed the "Anubis Mystery" quest not completing correctly on the client. Fixed the left click position of the Event and Timed Coupon icons. Fixed an issue that could cause the Preview window to be behind other windows when first opened. Fixed a minor delay with the damage recieved from Astarot normal attacks. Fixed animation error with the Giant Easter Egg when it was attacked. Fixed a bug that could cause the Mummy King monster to hold a surfboard. Fixed the position of the (pyramid) Mummy Ranger's Bow. Fixed Emotion Skills having a Skill Level. Fixed the tooltip of the Jump and Levitation Skills having an unused MP cast cost. Fixed typos with the tooltips of the Amethyst and Garnet Birthstones. Fixed the order of the Birthstones when speaking to [Character Reset] Jess. Fixed several Shoes having no item classification. Fixed flickering bug with the Armor Shop smith fire effect. Fixed the visual quality of Eldeon's water. Fixed the drop model of the Bunny Slippers. Fixed the name of the Easter Surprise Bag. Fixed a bug where players were unable to chat in some Game Arenas. Removed the account bound restriction from the Easter Surprise Bag. Removed the firecrackers from the Birthday Chest. 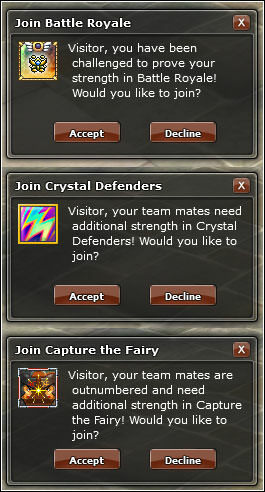 Added a requirement that players must at least have their First Job before joining. The storm boundary will now be drawn within the constraints of the map. Fixed a bug where Arena Objectives were still being processed when accessing the window whilst in a Battle Royale game. 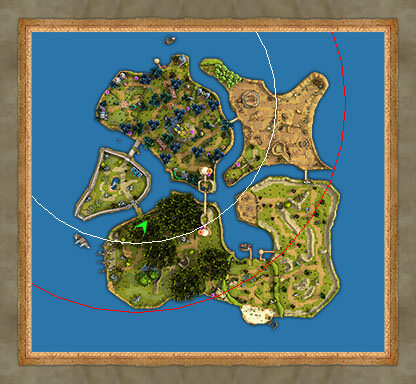 Fixed a bug where the storm position from the previous game may show on the map in the next game you join for the first two rounds. As we've attached job requirements to some equipment, we want to ensure players are at least high enough to have completed their First Job.